Michi is a line of luxury athleisure founded by Michelle Watson in 2010. A pioneer in fashionable athletic gear, Michi was one of the first to feature mesh inserts and strategically placed cutouts in their pants, tops, and bras. Michi’s core values include design, performance, versatility, quality, and conscious production, with 95 percent of leggings and bras made from Bluesign approved fabrics. These tenets ensure each piece is made to last using the highest standards. Athletic clothing from Michi is made in a female-owned factory in Canada where socially and eco-conscious practices are the norm. 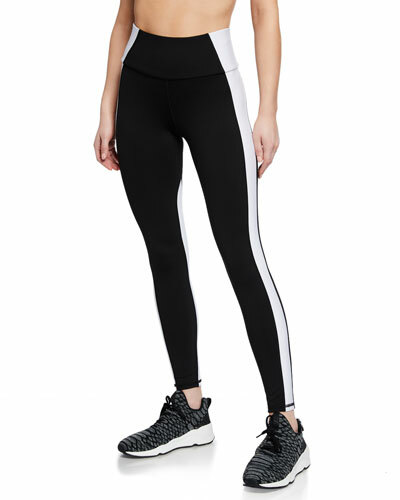 Shop a selection of leggings, bras, tops, and jackets by Michi at Bergdorf Goodman.